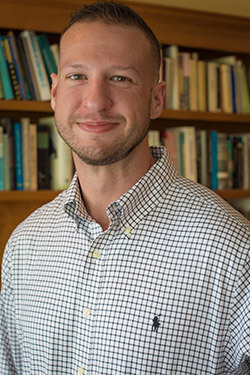 Micah Baker is a Licensed Psychological Examiner and School Psychology Specialist who has devoted his career to providing services to children and families of Northwest and Central Arkansas. Micah excels in working with children, adults, and families dealing with emotional, behavioral, and academic difficulties. Micah’s scope of services include conducting comprehensive psychological testing, behavior and academic interventions, consultations and treatment/behavior plan development. These evaluations provide objective information and data used to help diagnose emotional/behavioral, intellectual, and learning disorders. Testing information is useful for individuals and families when working with their physicians, therapists, and schools in order to make informed decisions regarding accurate diagnosis, medication recommendations, developing treatment/behavior plans and providing special education services. Micah loves a variety of music and plays the drums with local musicians. He also enjoys the outdoors, sports, physical fitness, and is an Arkansas Razorback fan.